Langkisau Hill is located in Painan, the capital of the South Coastal District of West Sumatera, Indonesia. It’s approximately 77 kilometers south of Padang, the capital of West Sumatra Province. Travelling from Padang to Painan can be done by land transportation. The transportation modes available are medium-sizes buses with a fare of Rp. 10.000 (US $1) . There are also small-sized bus (the number of passengers is about 12 people) with a cost of Rp. 15.000 (US $1.5). In addition, travelers can also use a taxi or chartered tourist bus from Padang. The Buses for the route Padang-Painan will stop at the terminal sago, located about 5 km from the town of Painan. To continue the journey into Painan, travelers can use the public transportation(Ind: angkot). The route usually opened at 06.30 AM and ended at 06.30 PM. 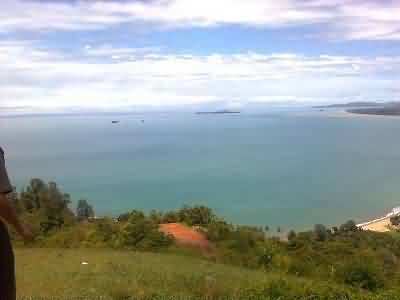 Bukit langkisau has incredible scenery. Watching the scenery from the top of it is like deliberately exposing yourself to God’s most beautiful creation (ok, ok, I’m exaggerating, but you get the point). 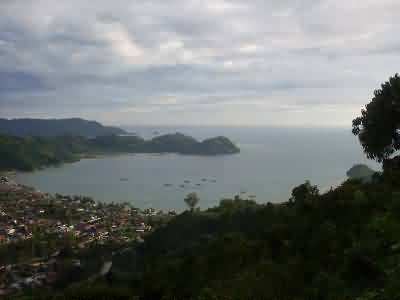 On the north side of the hill there is the causeway of Padang-Painan, the town of Painan clearly visible on the south side surrounded by the expanse of the hill, the Indian ocean that integrates with the sky plus a small group of islands that are still part of the southern coastal districts lies on the wet side. On east side, there is the cluster of hilles called Bukit Barisan. There are many activities that can be done on this hills. Among them, the most popular is paragliding. 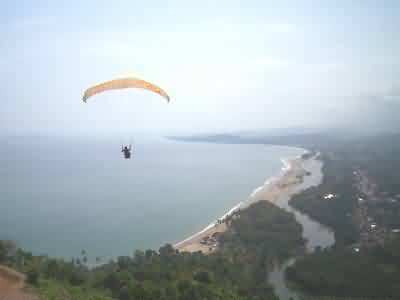 Painan Paragliding club regularly exercising on this hill, start from the top of the hill and landing on Salido beach. Salido located on north of the town, between the Sago terminal and the town of Painan. There is also Festival Lngkisau which is held annually. 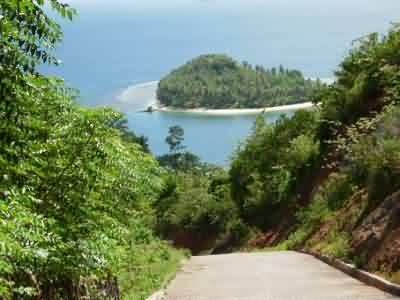 When you are satisfied with the scenery in the Langkisau hills, you can go back down and walked toward the west, where you will find a beautiful beach, named Cerocok. It’s guaranteed to soothe your nervous tension.